Danish artist Erik A. Frandsen's first solo show will be opened at Faurschou Gallery on March 21, and last till May 17. Erik A. Frandsen is a painter who, like many of his contemporary colleagues, does not restrict himself to painting on a canvas. His paintings belong in an expanded field, unfolding either as installation or three-dimensional object – or as a reworking of painterly problems. Erik A. Frandsen has always been interested in people and life, and he has an eye for strange stories and distorted views of reality. Thus the figurative is prominent in his art. However for Erik A. Frandsen art is a duality, or a “double space”, of figure and structure, positive and negative, physical objects and abstract forms challenging each other, and thus creating tension in his works. This duality is maintained in Erik A. Frandsen’s installation of his recent works at Faurschou Beijing. “Frozen Moment Desert” is an installation in two rooms.One room is devoted to his steel works. Large steel plates are engraved with flower motives. They are literally ‘cool’ paintings done without any colour, canvas or brush, but ‘painted with a drill’. And they are truly “frozen moments” as the flowers are captured in a specific state of their short life. The other room is a visual bombardment of colourful large format paintings. These images could be said to have been ‘painted with photographs’, as they have their origin in snapshots from the artists many travels where something seen or exprerienced is captured in a “frozen moment” by the camera and later reworked into these large-scale paintings. With their humorous, unconventional, and astonishing contents, Erik A. Frandsen’s works are thought provoking. His choice of aesthetically beautiful materials such as mosaics in Venetian smalti, large-scale paintings, or shiny engraved steel plates makes these existential moments both disturbing and an aesthetically pleasurable experience. The Chinese art world's superstar Qiu Zhijie explores modernization and the overwhelming influences on today's society. Huge installation pieces include a sinking ship structure, coffin sized pencils and large bamboo mats woven with daily objects used by Chinese people. We present 5 female artists: Yi-Chen Hong, Im Juri, Zhengyan Wu, Xin Chen, Jinling Huang. They are in different stages of their life; and the exhibition shows the different states of the female artists. 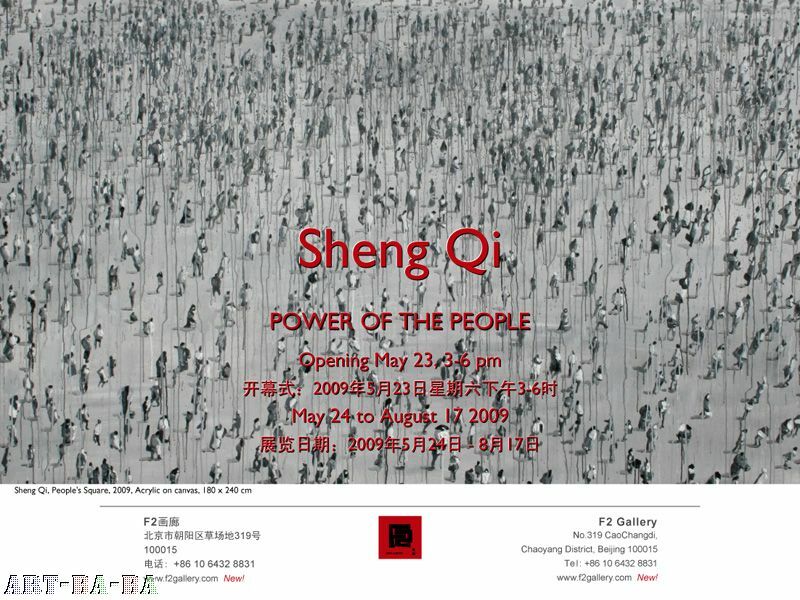 The exhibition started from April 18~May 31 2009. Mont-Saint-Michel in France, Gargano in Italy, Skellig Michael in Ireland, Mount Sinai in Egypt, Mount Arafat in Saudi Arabia, Lalibela in Ethiopia, Ayers Rock in Australia, Ellora in India, Huangshan and Taishan in China…:these UNESCO World Heritage sites all share one element in common, the spirit of sacred rites. The photographer Jean-Michel Guillaud has endeavoured to capture this spirit of the mountain sites and the cult of fervent devotion of generations of visitors. The artist explores the subversive manipulation of consumer behaviour through a large-scale 8-channel video installation. The exhibition is a comic portrayal and a critique of pyramid money making schemes. Paris-Beijing Photo Gallery's 300 sq. meter main space showcases the works of both emerging and established Chinese and international photographers. Most of the shows are solo exhibitions by artists whose works explore the architecture, life and landscapes of contemporary China. The exhibit features Bai's paper camouflage jackets: 70 individual men’s coats, each painstakingly pieced together from pages of supermarket advertisements. The centre piece is a man's jacket of black and white passport photos stitched together with red and black thread, while Chen's body containers made of magazines hand knitted together to form human silhouettes. 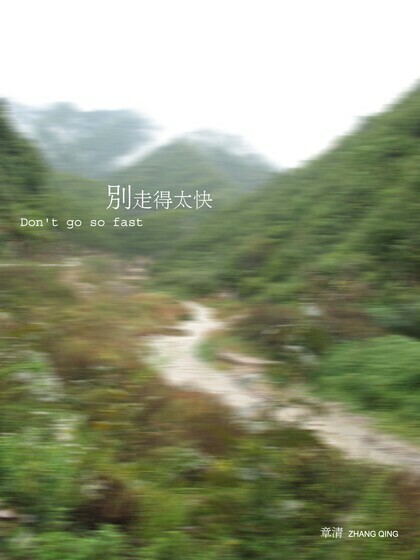 This exhibition features over 20 pieces from the artist's Shunyi Art Studio. The works captures and conveys the different regional culture in China. Dandeli Art Space is proudly introducing a very creative artist and her abstrac art with “breathing” feel. Guo Qi minimizes her abstraction into lines which are sharp or soft, paralled but internaly related. She applies Chinese coloring methods to her work and creates a unique visual order for the viewer through overlaping, merging, blurring or rinsing the lines. Her choice of painting on silk is part of Guo Qi’s communication. The texture of silk is light and translucent, and free of the heaviness of traditional paintings on canvas, making the artworks suspending in the exhibition space and allowing viewers to "breath". The theme of Guo Qi’s work is never big-not the nation’s economy and people’s livelihood-but how a pure and sensitive woman feel and view the world. Guo Qi’s art world is full of freedom and cheerfulness, which is distinguished from what we know about and can hardly be illustrated by narrative and copy. This exhibition features the works of 12 young artists who are creating art and searching for answers in both good times and bad ones. Featuring ten young artists--Gao Yansong, Hong Shaopei, Lei Benben, Li Bo, Ninagawa Mika, Tan Qizhi, Wen Ling, Wu Xiaohai, Yang Liu and Zheng Wei, this show includes painting, photography and installations. The title of the exhibit 3.1415926 signifies the infinite potential of uncertainty, giving hope to the future. The world renowned Barbie dolls will be coming to China. A touring exhibition featuring treasure collection of Barbie Dolls will kick off in Beijing in May. Barbieis a fashion doll manufactured by Mattel, Inc. and launched in March1959. American businesswoman Ruth Handler (1916-2002) is credited withthe creation of the doll using a German doll called Bild Lilli as herinspiration. Barbiehas been an important part of the toy fashion doll market for fiftyyears, and has been the subject of numerous controversies and lawsuits,often involving parody of the doll and her lifestyle. In recent years,Barbie has faced increasing competition from the Bratz range of dolls. Barbie'sfull name is Barbara Millicent Roberts. In a series of novels publishedby Random House in the 1960s, her parents' names are given as Georgeand Margaret Roberts from the fictional town of Willows, Wisconsin. Barbie attended Willows High School and fictional Manhattan International High School in New York City.She has an on-off romantic relationship with her beau Ken (Ken Carson),who first appeared in 1961. Like Barbie, Ken shares his name with oneof Ruth Handler's children. A news release from Mattel in February 2004announced that Barbie and Ken had decided to split up, but in February2006 they were back together again. Barbie'sDream House, 1962Barbie has had over forty pets including cats anddogs, horses, a panda, a lion cub, and a zebra. She has owned a widerange of vehicles, including pink Corvette convertibles, trailers andjeeps. She also holds a pilot's license, and operates commercialairliners in addition to serving as a flight attendant. Barbie'scareers are designed to show that women can take on a variety of rolesin life, and the doll has been sold with a wide range of titlesincluding Miss Astronaut Barbie (1965), Doctor Barbie (1988) and NascarBarbie (1998). One minutes walk west of Yashuo(雅秀) market, San Li Tun. As a significant member of the post-89 generation of Chinese artists trained in set and theatre design, Zhang Hui (b. 1967) is particularly sensitive to the physical and abstract languages of natural and constructed spatial experiences. In this solo exhibition "21st Floor and a Half" Zhang Hui confronts his suspicions of domestic accepted realities by presenting an arrangement of six large-scale oil on canvas works inspired by his local neighborhood in Beijing, offering particular insight into the experience of conventional suburban spaces in China. In ‘Exit’, the artist depicts his ground-floor garage as a haunted, dark abyss from which a pair of feet protrudes forward. The tiled wall above the garage door glistening in colorful outline, reflecting the summer hue of a Beijing sky. In another painting, the viewer looks up into the inner nave of his apartment block, this narrow communal space to which residents share access to the natural world is here rendered abstract and distorted, Zhang Hui’s choice of color throwing this familiar space into an eerie dimension of surreality. Where one expects to look up into a pin-hole of blue sky, it is dead black and emphasized by a rim of bright orange. The direction of the gaze, whether looking up, or looking down, looking under or within, whether it is the act of performance itself, or human interrelationships evidenced through painting and the construction of sculptural installation, Zhang Hui’s practice makes continual reference to theatricality, as a sense of physical awareness, but also as a mental space through which we further understand our relationship to ideas of lived and imagined realities.